Love him or hate him- you cannot ignore him. Jeremy Corbyn, the charismatic Labour party politician, has captured the imagination of a vast majority of the British public [he is projected to win the Labour party leadership election by a good margin] and has equally been disparaged by right wing economists and politicians. Corbyn’s elevation to party leader would be of much import to the Labour party, which has been, of recent times, facing an existential crisis. But what would Corbyn’s brand of economics mean for Britain at large? 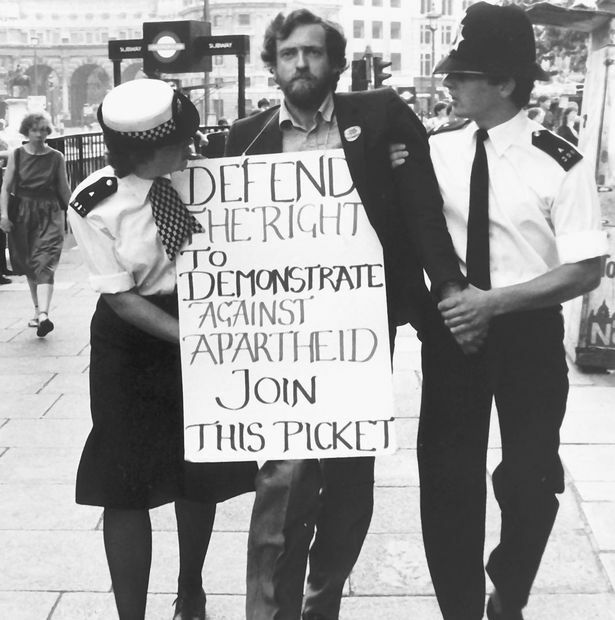 That someone like Corbyn has risen to prominence from being a non decrepit Labour party member should be of no surprise. The rise of the likes of Corbyn, Syriza and Podemos, the fact that they have become serious contenders reflects the resurgence of leftist policies and an erosion of faith in the centre left. Indeed, Corbyn, in his economic manifesto ‘Economy 2020’ proposes policies ranging from increasing welfare spending, drawing back tax cuts for corporates and investing in productive assets to re-nationalisation of the railways and rent controls. While support for Corbyn’s policies has not been unequivocal, a policy that has been widely accepted is the ‘People’s QE’, which, loosely speaking, involves printing money for the purpose of funding housing, energy and transportation projects. However, there are detractors who feel that ‘People’s QE’ could stoke inflation and effectively hurt the poor. Although ‘People’s QE’ has dominated the debate on Corbynomics, Corbyn’s other policies are of no small consequence. Take renationalization of the railways for instance. Currently the British railway is run by local monopolies, with only one line being run by a public sector undertaking. In consequence, railway fares are burning a hole through the pockets of British commuters. Supporters of the policy say that fares on the line run by the state undertaking are fair and the line well run. Critics of the policy claim that efficiency can be achieved without having to resort to a measure as extreme as nationalization as the roots of the problem lies in the inefficient franchisee system. 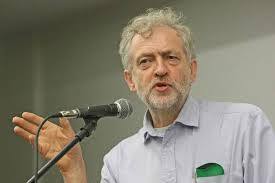 Corbyn has also vowed to nationalize energy companies, which will come at a tremendous cost to the exchequer. It is a no brainer that Corbynomics entails expanding the responsibilities and role of the state. The responsibility of the state towards the economy should constitute, in some sense, guiding the invisible hand. The market is much akin to a car. While it is paramount that the car be in good running condition, it is equally important that the driver doesn’t hold you hostage. Unfortunately, our driver is a class of peoples whose interests run contrary to the interests of the ordinary folk and an obsequious government. The past few decades have seen a stark rise in inequality and much of this inequality is attributed not to productivity increases. As noted by economists such as Picketty and Stiglitz, much of the inequality can be attributed to failure in policy. Picketty, for instance, notes that periods of low inequality in the US and France coincide with the periods of massive government expenditure on social services. Similarly, it is largely believed that specific policies and laws of the government helped executives pocket large amounts of money when the financial sector suffered huge losses in 2008. While lax regulations can lead to unwholesome consequences, timely state intervention can correct distortions and improve the health of the economy. For instance, the recent reforms in the labour market and easing of regulations for setting up small businesses played a large role in Spain’s miraculous turn around. It goes without saying that Corbyn’s plans for the social sector, such as increasing expenditure on health and education figure naturally as part of the state’s responsibilities. The biggest losers of Britain’s austerity program were social services and an increase in investment in this sector is imperative. But can an argument be made for state intervention in the provision of services, rent controls and such? Going back to the railways, Britain’s own experience shows that the railways functioned well in the era before monopolization in the 1920s, when the industry was serviced by a large number of competitive firms. So the case against nationalization may, prima facie not be unwarranted. As for rent controls, anyone with even a preliminary knowledge of economics would tell you that they are counterproductive. The prodigious rise in home prices and rents in Britain, consequent of excessive demand; the resultant spree in construction activity and to top it all, the government’s affordable housing policy [offering attractive mortgage guarantees] all point to a housing bubble in the making. While rent controls could be effective, it would be appropriate to strike at the roots by controlling home prices and construction activity or raising interest rates. Lastly and most importantly, there is the issue of austerity. This is however, not so much a question of role of the state as its predicament. Austerity is, without doubt the most painful path to recovery [if it does indeed lead to recovery]. The anti austerity demonstrations in afflicted countries are testament to the fact. However, the importance of the ‘confidence fairy’ [a coinage by Krugman] cannot be immediately downplayed. While assuaging the concerns of investors is crucial for states such as Greece, whose crisis was the result of its own profligacy, the same cannot be said for a state like Britain, whose interest rates are low. Therefore, a strong case can be made for raising debt for the purpose of investment. And indeed, it has been noted that growth in Britain has coincided with the easing of austerity measures. Similarly, a case for government intervention through the ‘People’s QE’ policy mentioned earlier can be made since high inflation levels are not of concern in Britain. On the contrary, the economy is marred by low levels of inflation and the policy could push it to desirable levels. Corbyn’s vision for the role of the state is ambitious. However, state intervention is not a panacea for all ills. Nor is it desirable to prescribe universal red lines for the state. As far as Britain is concerned, at this juncture, an expansion of the state through increased expenditure in strategic projects and social services would certainly be effective and feasible; and in view of this, Corbyn’s vision is certainly a step in the right direction. Whether the grammar school educated pacifist and avowed admirer of Karl Marx would become Labour’s face in the 2020 elections will become clear after the results are announced on the 12th of September. If Corbyn does win the elections in 2020 it would be interesting to see how his heterodox, revolutionary policies would unfold in Britain. Next Post “What would Economics do?” Let’s start with politics! Although, I do support radical approach on dealing with inequality, and government intervention, I don’t think extreme steps like nationalization of railways and power will do much help. See the case of India, for example. The government needs to change the system and break monopolies, not become one inefficient monopoly itself. Very nicely written with a lot of background both in history and the contemporary world to support the claims made.